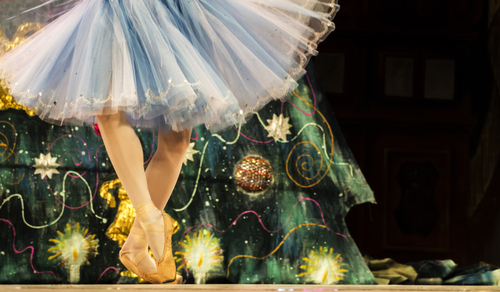 There is no better holiday classic than The Nutcracker – which is exactly why the American Repertory Ballet will be performing it at the the South Orange Performing Arts Center, which is only half a mile from your Third and Valley apartment home. Although the performance will of course feature Tchaikovsky’s magnificent score, it will also utilize stunning new sets, thrilling choreography and a cast of over 100 performers in a show that will take place during multiple performances on Friday, Dec. 9 and Saturday, Dec. 10. The performance will be directed by American Repertory Ballet’s Douglas Martin and it will be joined by students of the Princeton Ballet School as well as the professional company of the American Repertory Ballet in a show that lasts about two hours and is recommended for those eight-years-old and up. Even if you’ve seen The Nutcracker before, a story that features a young girl and how a mysterious gift brings about enchanted dreams and fantastical scenes, this show is worth watching this December to get the spirit of Christmas, which is only a few weeks away. The American Repertory Ballet aims to bring the joy, beauty, artistry and discipline of classical and contemporary dance to New Jersey and nationwide audiences and to dance students through artistic and educational programs. The classical yet contemporary ballet company presents ballets from the 19th and 20th centuries alongside new and existing works by choreographers from today. Founded in 1963, the company is currently under the artistic leadership of Douglas Martin, former principal dancer with the Joffrey Ballet. If you’re looking to preface a night on the town with the American Repertory Ballet, then check out one of South Orange’s many upscale restaurants such as Above Restaurant and Bar at 1 South Orange Avenue, which is about three blocks from your Third and Valley apartment and only one block from the South Orange Performing Arts Center. Above Restaurant and Bar is known for its classic American food with a twist serving up everything from sushi to pasta to brick-oven pizza – all of the highest quality. This restaurant is sure to satisfy your entire family before an evening at the South Orange Performing Arts Center.